A Complete Guide to Booking Travel With Kayak – Will It Save You Money? Kayak is one of the many websites out there to help you find the best travel deals. 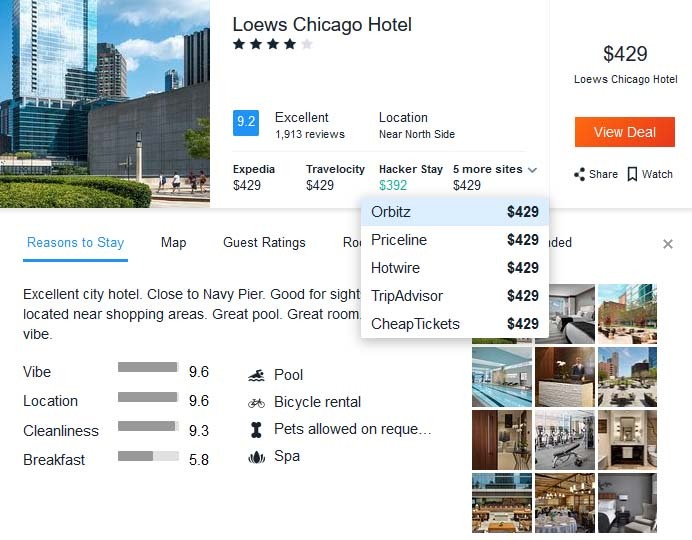 However, unlike other popular OTAs (Online Travel Agencies) that Kayak often gets lumped in with, Kayak is not an OTA — it’s a metasearch engine for travel deals. 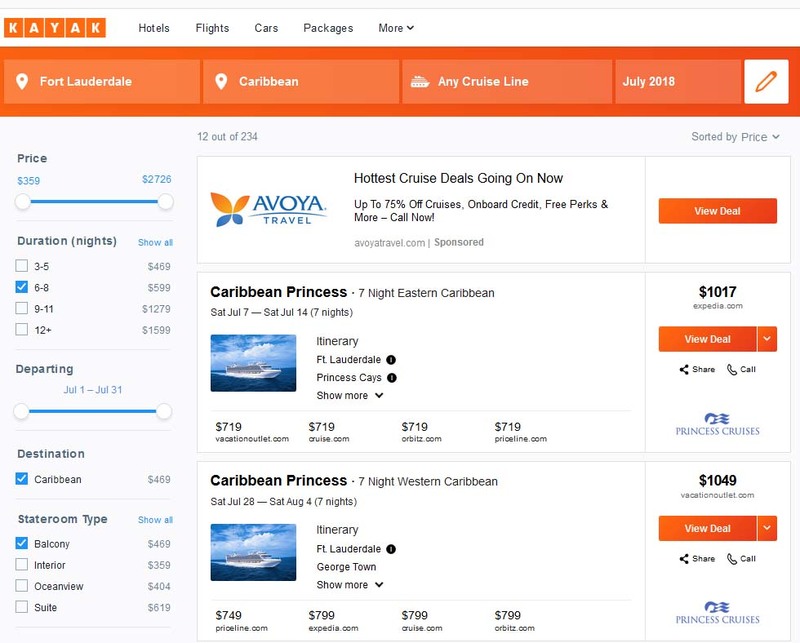 Kayak shows you prices from other websites and will send you to that website to complete your booking. Plus, with tools like Flight Tracker, Guides, and Kayak Trips, this site acts as an assistant travel planner. You can research and organize all aspects of your trip in 1 spot. That all sounds great, right? But how do you actually use Kayak!? Overall, searching for travel on Kayak is easy as long as you know a few simple tips and tricks to find the best deals. This guide will show you everything you need to know to use Kayak to search for and book your next trip. 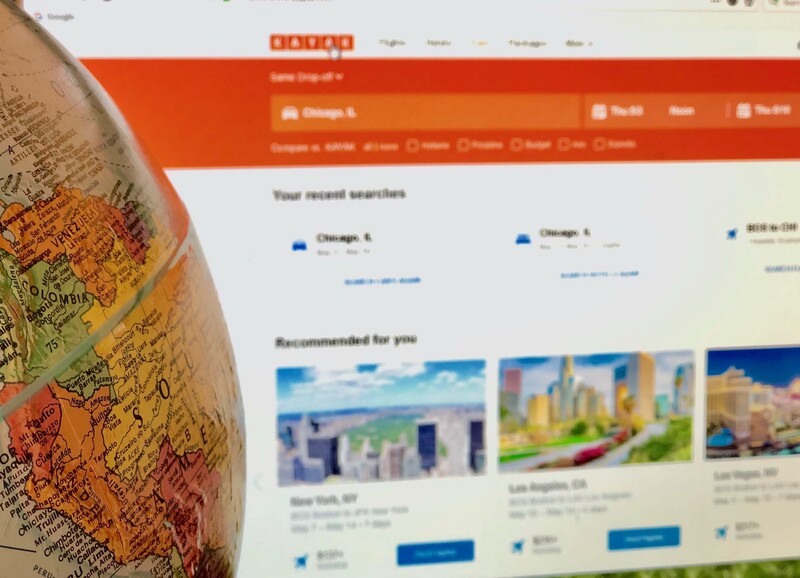 On the home page, Kayak shows your “Recommendations” and routes to “Popular Destinations” based on your home city all before beginning your first search. These sections are for very specific flights and dates, so they might not be much help if you’re looking for a certain itinerary. However, if you are flexible, these sections offer some great deals! For example, I found flights for as little as $79 round-trip from my home airport to popular destinations like Orlando and Myrtle Beach. I also found a round-trip from my home airport to Dublin, Ireland for only $648! Many of these deals are for flights as close in as 2 weeks, so if you’re looking for a last-minute travel deal, Kayak is a great place to start your search. Hot Tip: You can change the origin city for your Recommended flights and Popular Destinations by doing a flight search with the new city as the origin. To start your search on Kayak, input your departure city, arrival city, and dates; then hit “Search” just as you would on any other website. This will take you to the next page, which shows a list of available flights. This is the main booking page and it includes a wealth of information. By default, the results will automatically populate sorted by “Recommended.” You can adjust this setting to sort by Cheapest, Quickest, Earliest Takeoff, Latest Takeoff, Earliest Landing, or Latest Landing. To do this just select how you want to sort using the drop-down on the upper right-hand side of the screen under the main search bar. This is a great feature that lets you include any baggage fees in the price you’re seeing. Since baggage fees can vary between airlines, this is a great way to see an actual cost comparison without having to search separately for each airline’s baggage fee policy. Right underneath the Fee Assistant is a large box with a featured flight in it. Keep in mind that this is a sponsored ad, meaning the featured airline paid to be there. While this doesn’t automatically mean the featured deal is bad, it’s smart to keep in mind that it’s not featured simply because it’s a good deal! This little box at the top left of your screen gives you Kayak’s best estimation of how prices might change in the next week. The box will tell you if it’s a good time to buy, or whether you should wait. This estimation is only for the following week, so I recommend taking their advice with a grain of salt. If you toggle “Track Prices” to ON, you can create a custom price alert for your itinerary. This requires an email address and automatically sets up an account for you with Kayak. You can narrow your flight search results using many different parameters on the left of your screen. On the right-hand side of your screen, you’ll see this box where you can compare what you find on Kayak to numerous online travel agencies and travel websites. Clicking on the “Compare” button will take you directly to the chosen website and automatically search your itinerary. The main middle section of the page is where you’ll find available flights for your chosen route. Click on “View Deal” to see more information about the flights and complete your purchase. Depending on the route you’re choosing, the View Deal button will take you to either the airline’s website, Kayak’s booking tool, or another OTA such as Expedia or Orbitz to complete your purchase. You will be able to see where the booking is from right above the orange button. On some flights, there is more than one booking option, but thankfully Kayak features the lowest price option first. To view other options for your chosen flight, click on the down arrow next to the orange View Deal button. This will display a drop-down box of all the prices on different websites. Please note that this is not available on all flights. Bottom Line: Kayak is not an online travel agency — it’s a travel search engine. On some flights, instead of seeing the airline displayed under the price, you will see “Hacker Fare.” Don’t worry — nothing is being hacked and these prices are totally on the up and up! All this means is that Kayak found a good deal on a flight by bundling 2 one-way tickets (usually on different airlines) instead of a round-trip on 1 airline. This can be a great way to get the best deals. Hacker Fares are deals based on 2 one-way tickets instead of a round-trip. These can also make use of different airports. The only thing to keep in mind with these Hacker Fares is that you have a little less protection if something goes wrong. Let’s say you’re going to Chicago for a long weekend, but bad weather cancels your outbound flight. Since it was a short trip, you just decide to cancel the whole thing. If you had a round-trip ticket, you’d have much more leverage to get a refund for the second leg of your trip. But since you booked a Hacker Fare, your return flight is a one-way on a different airline, meaning that return flight has no real relationship to your outbound flight. It would be hard to get a refund for the second leg of your trip; as far as the airline is concerned, this is stand-alone flight. While this is a fairly rare situation, it’s good to be aware of if you purchase a Hacker Fare flight. Another way to search for flights on Kayak is at the bottom of the home page, where you’ll see a number of popular cities. Click on “Flights” directly under the city name to bring up a page that shows lots of flight deals from your home airport to your chosen destination. These are all for specific dates, so again flexibility is the key to making this tool work for you. You can find great deals to popular cities on Kayak. This is a cool feature that is a little hard to find. On the top menu, click on the drop-down box from the “More” tab, and then click on Explore. Using this tool, you can select your home airport, date range, price range, and trip duration to see where you can fly within those parameters. It’s a fun way to choose a destination when you have an idea of when you might like to travel but aren’t sure where you want to go. If you hover over the price box on the map, you can see what city the flight arrives in. Once you’ve found your destination, click on the city name, then click on “Find Flights” on the right side to choose your flights and complete the booking. You can also use the Kayak Explore tool to search for a themed trip, such as Amazing Beaches, Family Friendly Cities, UNESCO Sites, or Hiking Hot Spots. After choosing your home airport, dates, price range, and travel time, choose your travel theme on the right side of the page. This will narrow your search to only destinations featuring the theme you chose. Kayak Explore is a fun feature to search for flights when you don’t have a specific destination in mind. You can also search for themed trips on the right side of your screen. Sometimes having a day or 2 of wiggle room in your travel plans can save you big bucks! Using the 3-day flex search tool, you can see your selected travel dates plus or minus 3 days. This is a great way to see if you can save some money with a little flexibility. To use this feature, select “Flexible Dates +/-” on the left side of the calendar drop-down box. You can also choose a Flexible Weekend or Flexible Month search. Now when you click on the Search button, you’ll see a chart of prices so you can easily see the cheapest days to fly to your chosen destination. Hot Tip: Even a day or 2 of flexibility can lead to big savings! Be sure to search for your trip with flexible dates to see your best options. This is a cool page under the “More” drop-down on the main menu. Click here to see all the places you can fly directly from your home airport. This tool also displays the approximate flight time, distance, and airlines that fly the specific route. It’s a pretty neat tool to check out if you’re looking for a destination you can fly to without a layover. Occasionally it will appear that the flight you chose is bookable through Kayak; this will show up as a Kayak price. However, while it looks like you’re booking through Kayak, you are really only using Kayak as a user interface — the booking is actually through a third party (usually an online travel agency like Priceline). This is important to know: if you have any problems, you will need to contact the party through which you booked, not Kayak. In this case, the ticket was booked through Priceline even though the user didn’t click through to that website. While this flight booking is completed on the Kayak website, the booking is through Priceline. Any post-purchase customer service would need to go through Priceline, not Kayak. Searching for a great hotel on KAYAK is really simple. First, choose “Hotels” from the top menu. Then input the number of rooms, number of guests, city, and dates you’re looking for — click on the magnifying glass icon to search. On the left side of the page, you’ll see all the options to filter your search. You can narrow your results by stars, review score, price, freebies, location, neighborhood, amenities, ambiance, and property type. Right above all of the search options is a box to click through to a map, which shows your chosen city with all the hotels marked on it. Hover over each dot to see the hotel name, rating, and price, or click on each dot to continue with booking that hotel. Hot Tip: You can also search for popular areas for eating, sightseeing, shopping and nightlife on this map. The middle section of your screen will have a list of all the hotels available for your chosen dates. Just like with flights, these default to being sorted by “Recommended.” If you want to sort by price, adjust the settings at the top right underneath the search box. Note that the price you see to the right of the hotel name is not necessarily the cheapest price! However, the great thing about KAYAK is that you can see the prices for each hotel on lots of different OTAs as well as the hotel website. You’ll see these prices underneath the hotel name and rating; click the drop-down menu for a full list. Prices shown for hotels don’t include taxes, which can be pretty high. For example, I searched for a hotel for a long weekend in Chicago and chose the Park Hyatt (listed for $475 per night from Expedia). When I clicked through to complete the booking, I discovered per night taxes of $82.66! Hot Tip: Prices shown from hotel websites are not member rates. Be sure to check the member rates on your specific hotel’s website — they are usually lower! When I clicked through to Expedia, Orbitz, Travelocity, and Hotwire, they all featured the $475 per night price and added taxes for a total of $2,230.64 for a 4-night stay. However, when I went to book directly with Hyatt, I found a non-member total for 4 nights of $2,230.60 ($.04 cheaper), while the member price was $2,141.35 for 4 nights. So by signing up as a World of Hyatt member (which you should definitely do because it’s free!) and booking directly through Hyatt, you’d be saving $89.29. Plus, you will be eligible to earn hotel points and take advantage of any elite status you may have when you book directly through the hotel’s website. Another hotel available for the same weekend had an advertised price of $429 on all the major OTAs including Expedia, Orbitz, Travelocity, and Hotwire. This was also the price offered directly from the hotel, making the total for a 4-night stay booked through any of these sites $2,014.60. Hot Tip: Booking a “Hacker Stay” fare can save big bucks on your next hotel stay. However, this hotel had a “Hacker Stay” rate of $392 per night. The total price for the Hacker Stay was $1,839.45 — that’s a savings of $175.15 for the exact same hotel room! When I clicked through to book, I found that this stay consisted of 1 night booked through Hotels.com and 3 nights booked through Expedia. If you choose this route, you’ll end up with 2 separate reservations and might have to switch rooms halfway through your stay (though the hotel can usually combine those reservations upon check-in). Hacker Stay fares will appear in green along with the other prices. You can save selected hotels to come back to later by clicking on “Watch” right under the orange View Deal button. This will automatically create a saved Trip for you with all your hotel selections. To track prices for your search, just toggle the button at the top right corner of your screen (to the right of the search box) until you see a check mark. To start your search for a car rental on Kayak, simply input your chosen city plus dates in the search bar at the top of your screen. At the top left you can choose whether you want to drop off the car at the same or a different location as pickup. Clicking on the calendar icon will bring up a drop-down box to choose your dates, pick-up time, and drop-off time. You can also choose to bring up comparison sites underneath the location box to view prices at Hertz, Hotwire, Priceline, Budget, and Avis. Just as with searching for flights or hotels on Kayak, searching for rental cars follows a similar pattern. To the left of your screen you’ll find all the options to help narrow your search. You can choose to sort your search by car capacity, car type, payment type, rental agency, price, and other car options like number of doors or type of transmission. After you narrow your search, all your options will be featured in the middle of your screen. Above the list you can choose how to sort your results (recommended, lowest price, or distance), and you’ll see an alert if it’s a good time to book. Right above your car rental search results will be a box showing you if it’s a good time to book or not. Each listing will tell you the type of vehicle, bag capacity, number of doors, rental company, and whether this is a Special Rate. These Special Rate deals will keep the car rental agency hidden until booking is completed. Use the drop-down arrow in the orange box or section on the right side of the screen to compare Kayaks pricing to other websites. There was also a “Special Rate” available for a similar midsize car for only $139.19. If you aren’t picky about exact car type or who you rent from, these Special Rate prices offer a great deal. Lots of people use OTAs and travel search engines to find great vacation package deals. To see Kayak’s deals, click on “Packages” in the search bar at the top of your screen. From here you’ll see a search bar just like in the Flights section. First, fill in your destination and dates to get a list of flights. Once you select the flight you want, you’ll be able to add a hotel to make a package deal. Bottom Line: You can save money by booking your hotel and flight together through Kayak’s “Packages” option. Right underneath your chosen flight you will see the “Add a Hotel” section. To see what kind of deals I could get, I searched for a 5-night trip from Boston to Las Vegas. This search returned 3 featured offers with varying levels of advertised savings, and I could see more deals by clicking on the blue “View More Hotels” button. Hot Tip: The hotel offerings change quickly! The offers I had changed even when I did the same search only minutes apart. If you see something you like, you should book right away. The first option was a hotel stay at Treasure Island Hotel and Casino, which advertised a $367 savings. I tend to be skeptical about package deals, so I wanted to check it out myself. Booking this package including a round-trip flight plus 5 nights at Treasure Island would cost $800.86. Booking the flight separately was $216.37, and booking the hotel directly through their website would be $951.60, for a total of $1,167.97 if booked separately. That does work out to a $367 savings when booking the package, which is pretty significant and exactly as advertised. If you have a destination in mind and are looking to find the most inexpensive time to travel, Kayak’s Packages have you covered there too. Use the Kayak Packages tool to find the most economical times to travel to popular destinations. Did you know you can search cruise deals on Kayak too? You can find these deals by clicking on the drop-down box under “More” in the main search bar. Searching for cruises on Kayak is very straightforward and operates in a similar manner to searching for a flight. First, input your search criteria like cruise destination, cruise line, and month of departure at the top of the page. Click on “Search” to see a full list of options, which you can narrow down further using the parameters on the left of the screen. I found that Kayak’s prices listed for cruises tended to be the same on any website — generally, Expedia has the same price as Orbitz, which has the same price as Cruise.com. However, the difference can sometimes be in the extras like an onboard credit. Unfortunately, Kayak doesn’t display that information, so you’ll need to click through to each website to find the best pricing. Hot Tip: Kayak doesn’t display onboard credits offered by other websites, so it’s best to click through to each site to see what deals are being offered. As you can see in the table below, this week-long Royal Caribbean cruise was listed at different prices on Kayak, but after clicking through to each site for the final pricing they were all identical. 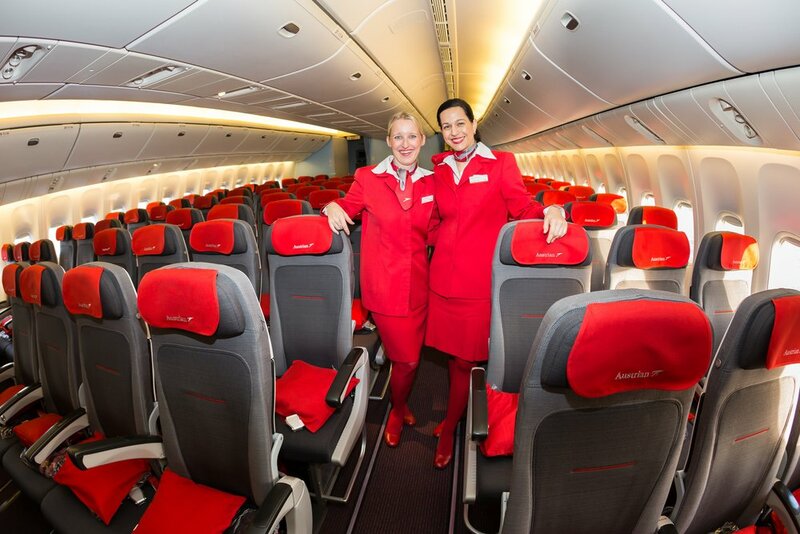 The only difference is the amount of onboard credit you could receive with your booking. Hot Tip: Prices for cruises are listed per person, not per cabin! I found a couple of other things to watch when searching for a cruise on Kayak. First, I saw one listing for an interior cabin on a Caribbean cruise where a lower price was listed for Orbitz. However, after clicking through to each site, I found the same lower price was indeed available on all the sites. Another thing to watch out for when searching for a cruise on Kayak is the stateroom type you’re searching for. When I searched for a 7-night Caribbean cruise in a balcony stateroom, the price to the right of the search box was correct. However, you’ll also see additional pricing at the bottom of the search box — these are the prices for the base interior cabin, not premium cabins like ocean view or balcony. It can be a little confusing if you aren’t aware that those prices aren’t actually for the stateroom you searched for. This search was for a balcony stateroom. The price at the right side of the search box is correct, while the additional prices shown at the bottom of the search box are for base level interior rooms. Kayak Guides is a great tool to start planning some activities for your upcoming trip. Guides can be found by clicking on the “More” drop-down box in the main search bar at the top of your screen. From here you can input your destination or search by region or popular destinations. In each city guide, you’ll find general information about the area as well as suggestions on things to do, places to eat, most and least expensive times to visit, and even average weather throughout the year. You can see how to get there including links to take you to search for flights. You can also see information about different areas of the city including links to hotels in that area. 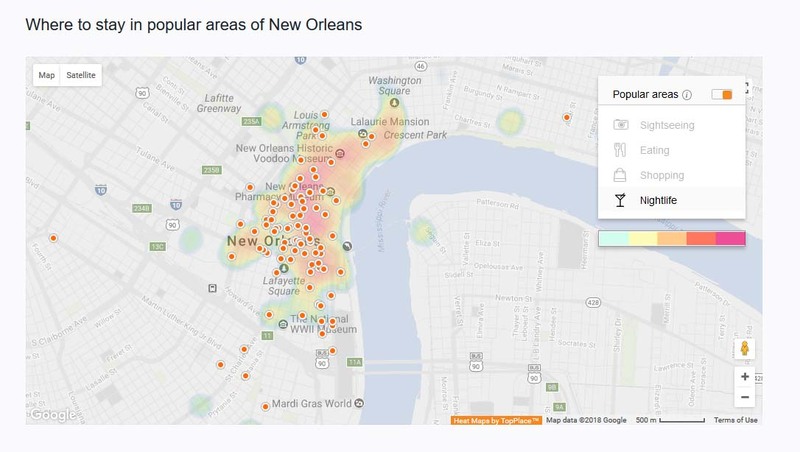 One of my favorite parts of this tool is the map of the city that shows you popular areas for sightseeing, dining, shopping, and nightlife. Just click on the item you want to see and watch the colors on the map change to reveal the popular areas for your chosen activity. This map also shows hotel locations. For more information, just click on a dot — this will bring up hotel info as well as a link to click through and book. Kayak Guides includes an interactive map that shows hotel locations as well as popular areas for sightseeing, eating, shopping, and nightlife. 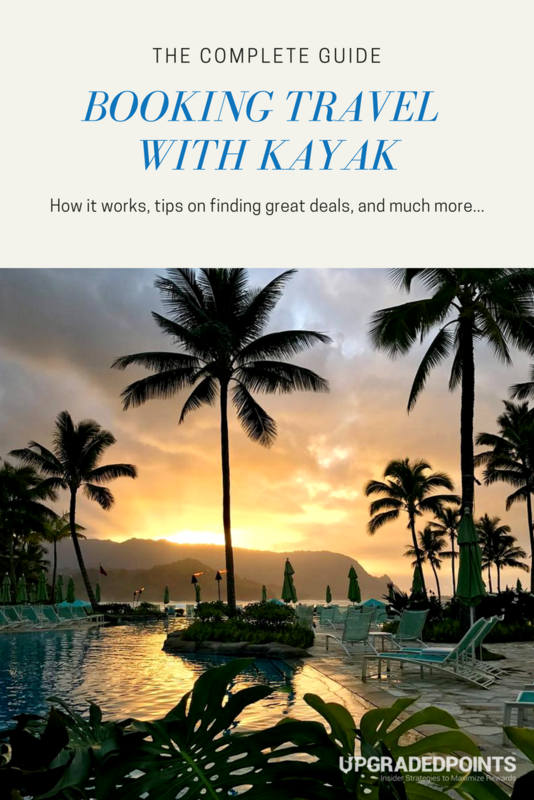 Bottom Line: Kayak Guides is a great resource to help plan every aspect of your trip, including best times to visit, local weather, and best areas for sightseeing, dining, shopping, and nightlife. Forward your booking emails to trips@kayak.com. Once your flights are added, you will be able to see real-time updates for check-in, flight status, and gate change information. Plus, you will be able to access your itinerary offline. Hot Tip: Use Kayak trips to organize and share all of your vacation details. If you are traveling with a group, you can share all the trip details with your group by creating a link to your trip information page. 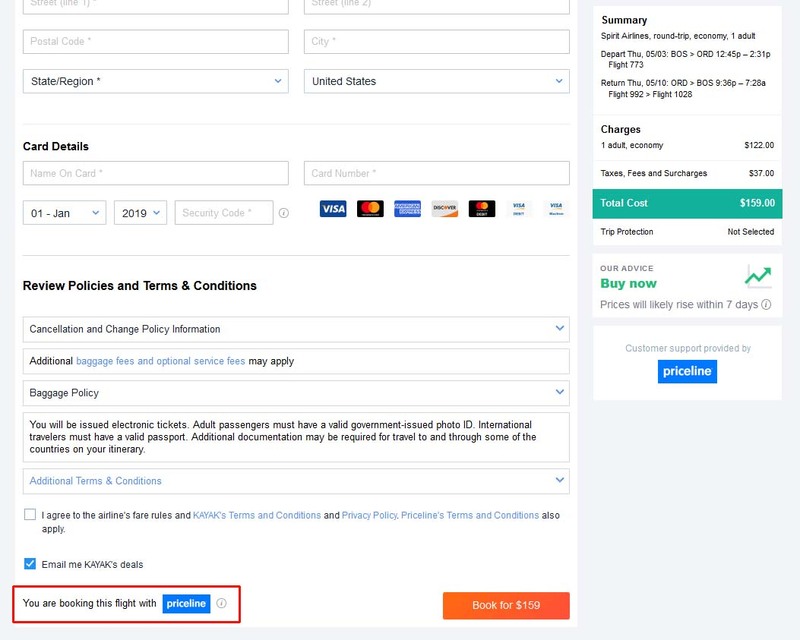 Once you’re viewing your trip details, look for the blue “Share” button, which brings up a link to your trip information that you can send to friends and family. You can also allow someone else to edit the trip information from this button. Kayak Deals can be found under the More drop-down in the main menu. This section differs from Kayak Packages in that you can’t build your own trip; the deals you find here are set packages that all include different things (vacation packages, cruises, flights, hotels, etc.). Some of these deals were straightforward and easily bookable through an OTA, while others were a little more complicated. For example, I found a 6-day Dublin and Killarney rail vacation package, but I couldn’t just click through and book right away. Instead, clicking through took me to an OTA where I’d need to request a quote. While that’s not really a big deal, it does take more effort than just hitting the “buy now” button! While you might think Kayak is an online travel agency (OTA) like Expedia or Orbitz, it’s really a different animal. Kayak is a search engine, and it’s a great tool to use to begin your travel planning. The great thing about Kayak is that it compares prices between all the OTAs you’re familiar with (like Expedia and Orbitz), plus airline and hotel websites. This lets you see where the best prices are without having to go to each individual website. Kayak also offers tools to help with planning and organizing your trips. It’s a 1-stop shop to research and plan any vacation you can imagine! Like this post? Pin it on Pinterest! How Do You Change or Cancel a Flight Booked on Kayak? 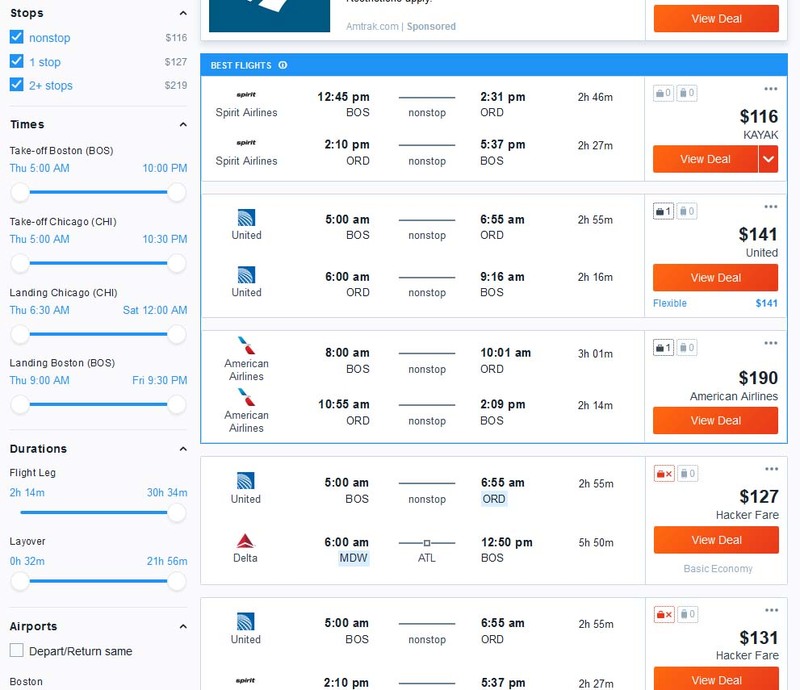 When Is the Best Time to Book Airline Tickets Through Kayak? Are Kayak Hacker Fares Safe? Why Doesn’t Kayak Show Southwest Flights? Kayak is a travel search engine. It searches hundreds of travel sites including OTAs, discount suppliers, and the airline/hotel/car rental agency’s direct websites to show you all the options in 1 place. You will need to contact the provider that you clicked through to (airline, hotel, or an OTA) to book your reservation for customer service. If you booked on Kayak, then you can go to the Bookings area of the site (accessible through Trips) to get support and information on your specific flight/hotel stay/car rental, etc. However, most likely you will still need to contact the provider directly. As with booking flights from any website, there is no real answer to this question. There are lots of factors that go into airline ticket prices, so it’s hard to pinpoint when a fare will be at it’s lowest. However, Kayak does offer a few tools to help you. 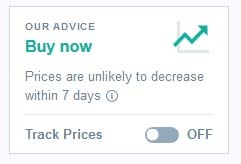 The “Our Advice” box in the upper left corner of your search screen gives you a short-term prediction of how prices might change in the following week. You can also track your search by changing the Track Prices button to “On.” This will trigger a daily Price Alert email advising you of the current price trends for your search. Yes, Kayak Hacker Fares are safe as long as you understand how they work. 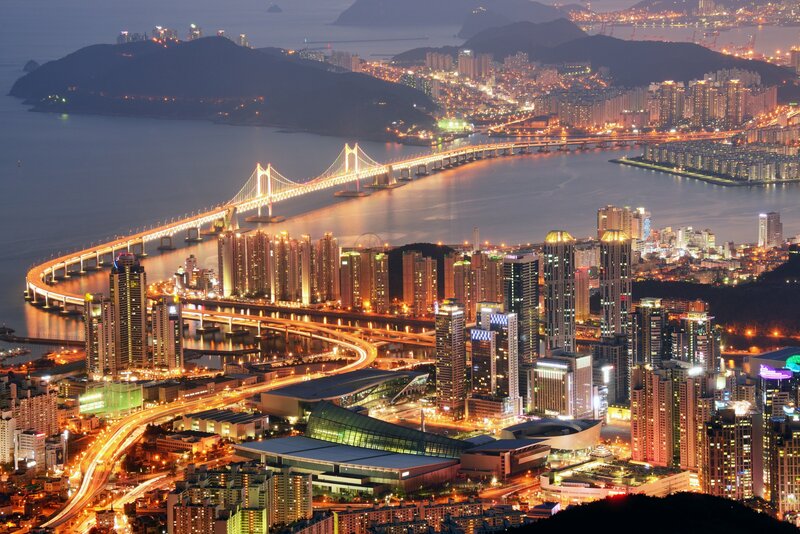 Hacker Fares are simply a combination of one-way flights that are cheaper than a round-trip. These flights can be on separate airlines, which means the second leg of your flight might not be protected. For instance, if bad weather cancels your outbound flight, you might decide to stay home and skip your trip altogether. But since your return flight is on a separate reservation, it will not be refunded like your canceled outbound flight. Overall, this risk is relatively minor, but it’s good to know before you purchase a Hacker Fare. If you are booking a Hacker Stay for your hotel, this will consist of 2 separate reservations. The only downside to this is that you might have to switch rooms during your stay. However, many times you can ask the front desk to combine your reservations when you’re checking in. Southwest fares are only available on Southwest.com. You will not be able to search for these flights on Kayak or any OTA like Expedia or Orbitz. Katie is an Ohio native who caught the travel bug after spending a semester in college in Nottingham, England. 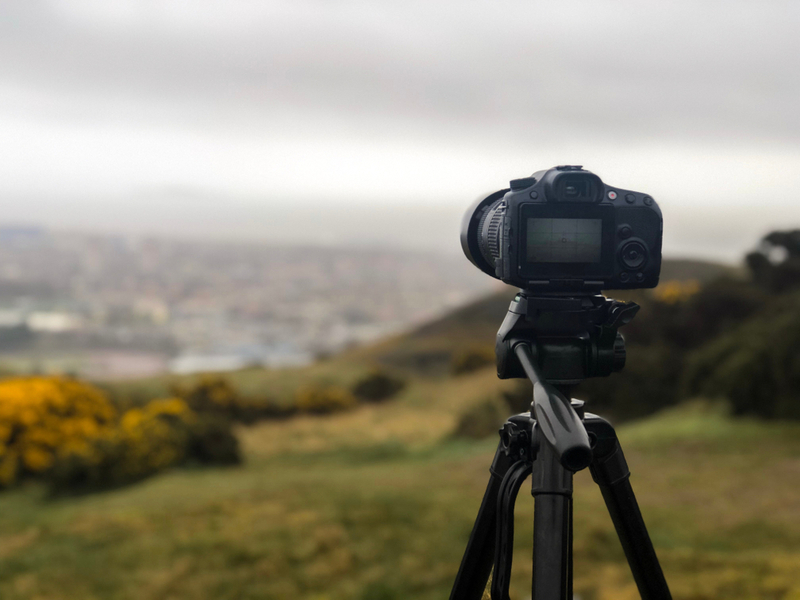 In addition to exploring England, she visited Ireland, Scotland and the Netherlands during that time and loved every minute of it (everything except the hostel in Scotland - that's an experience she doesn't intend on repeating!). In late 2015, Katie discovered the world of points and miles, and it literally changed her life.